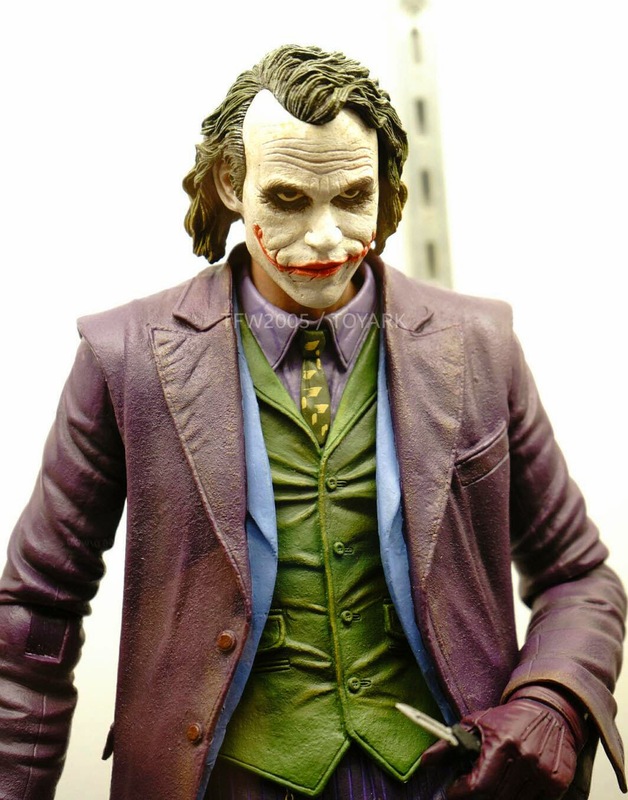 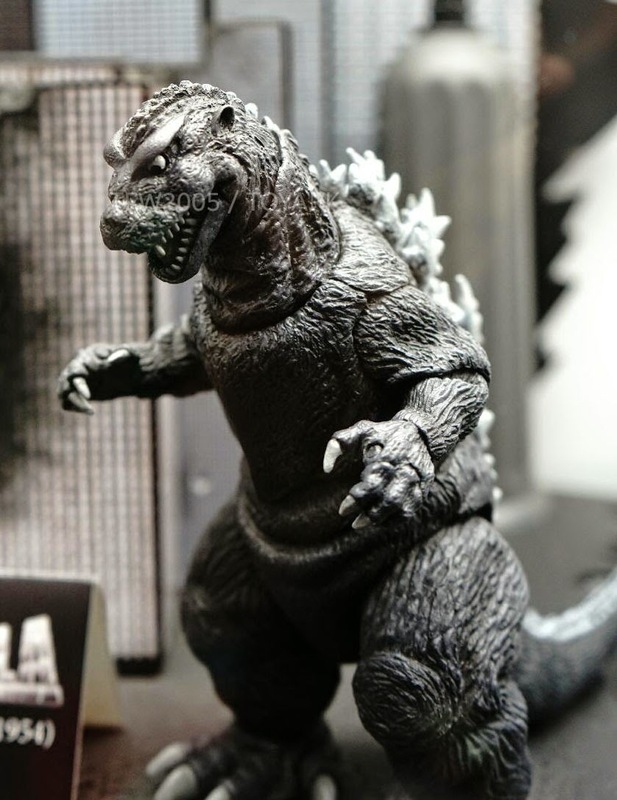 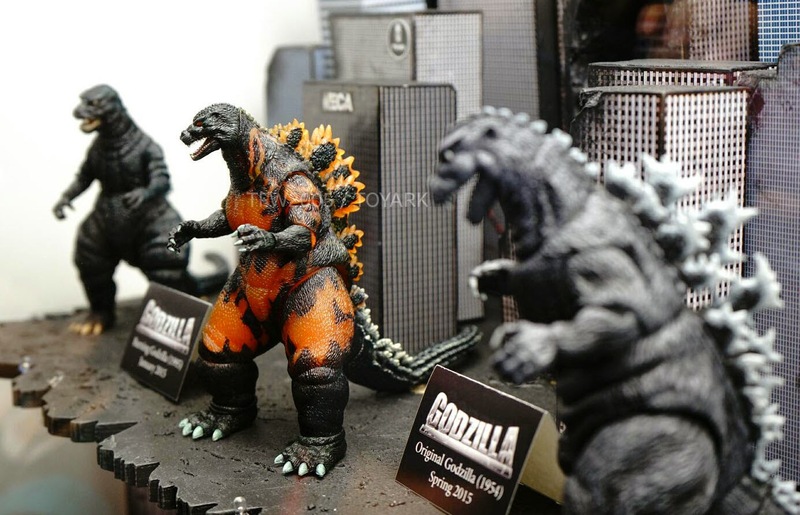 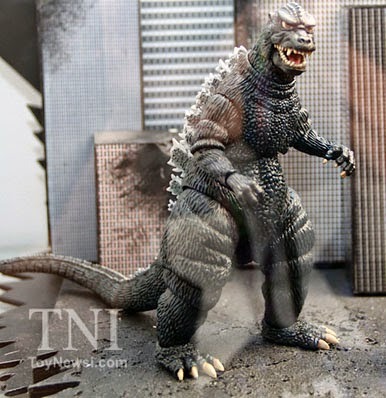 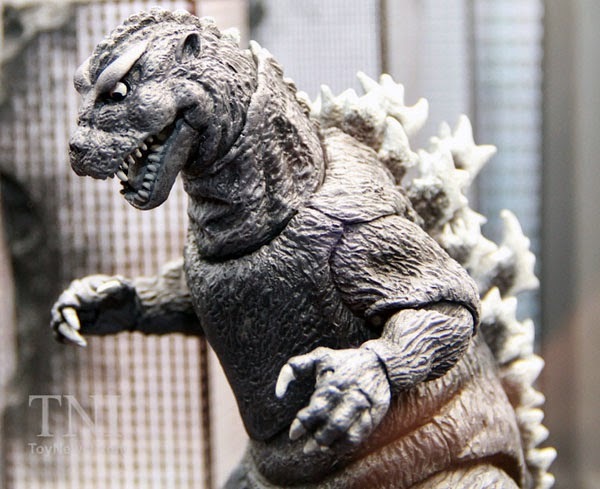 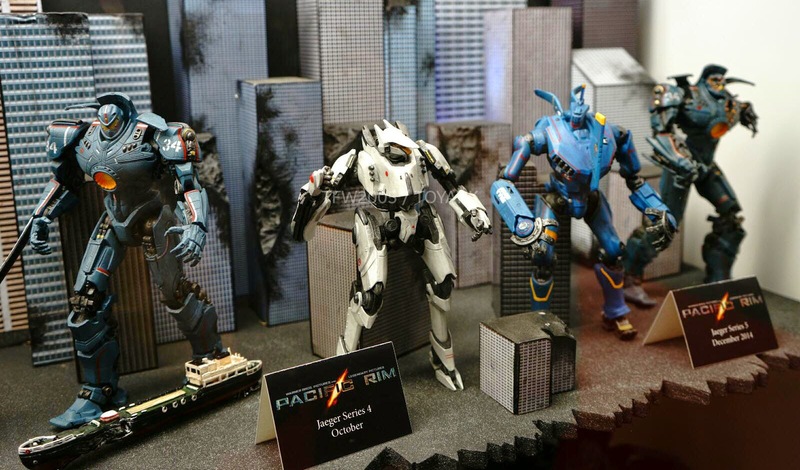 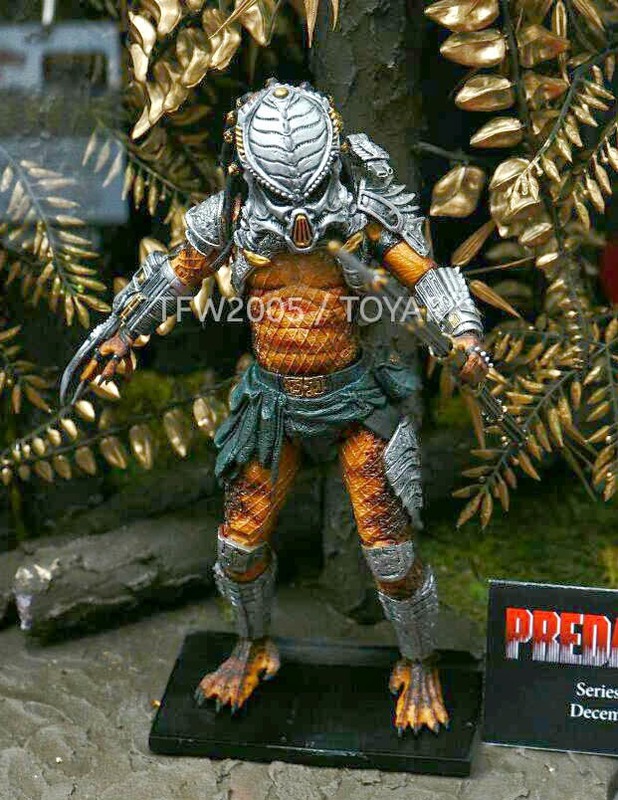 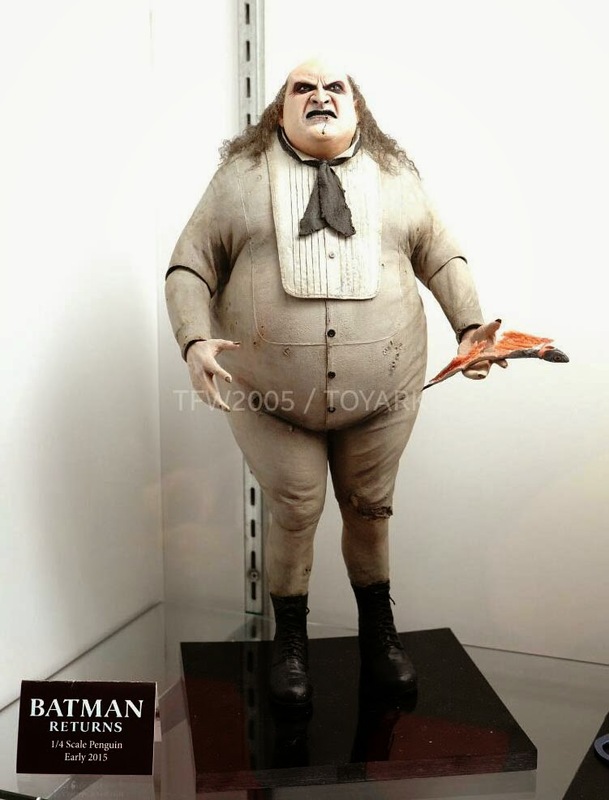 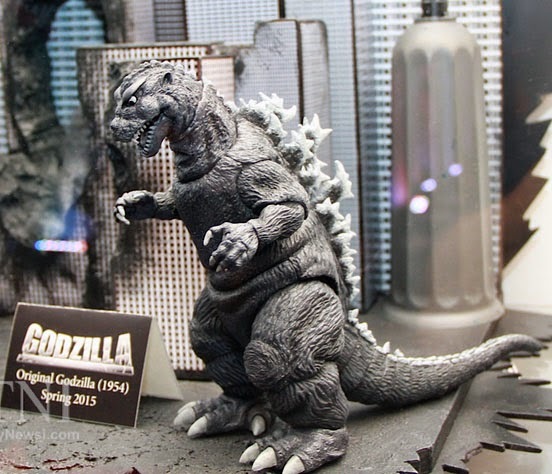 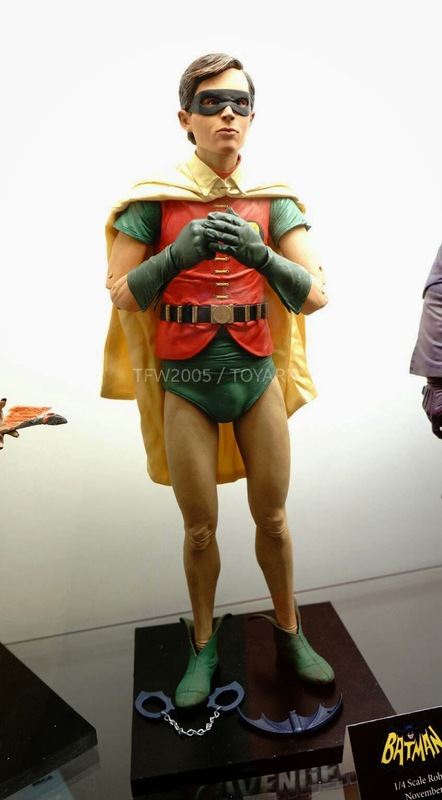 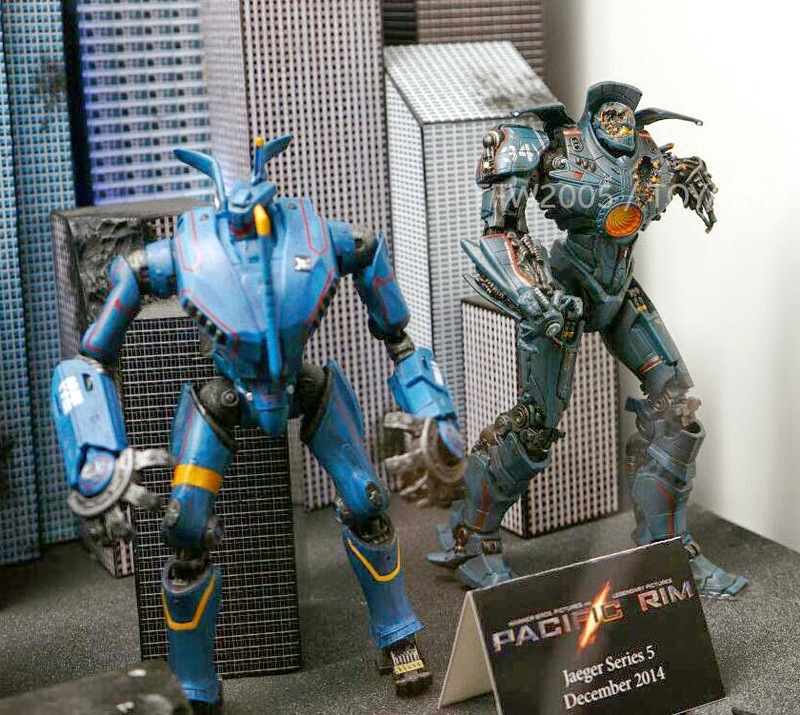 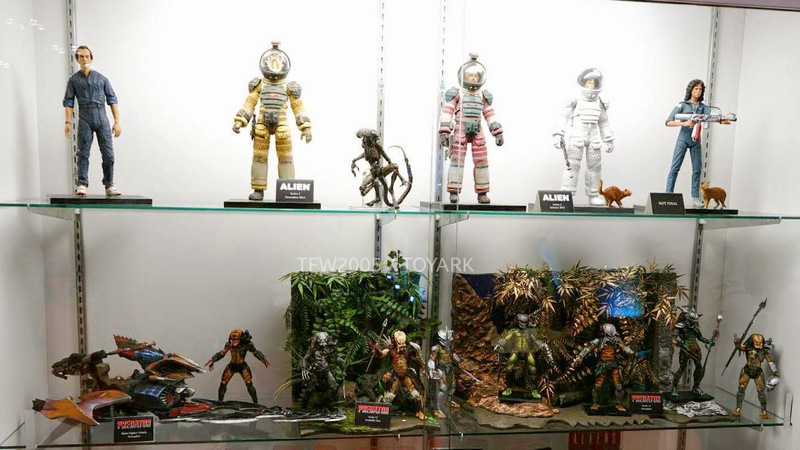 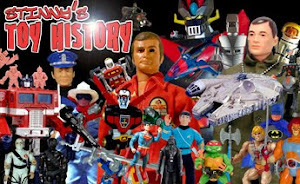 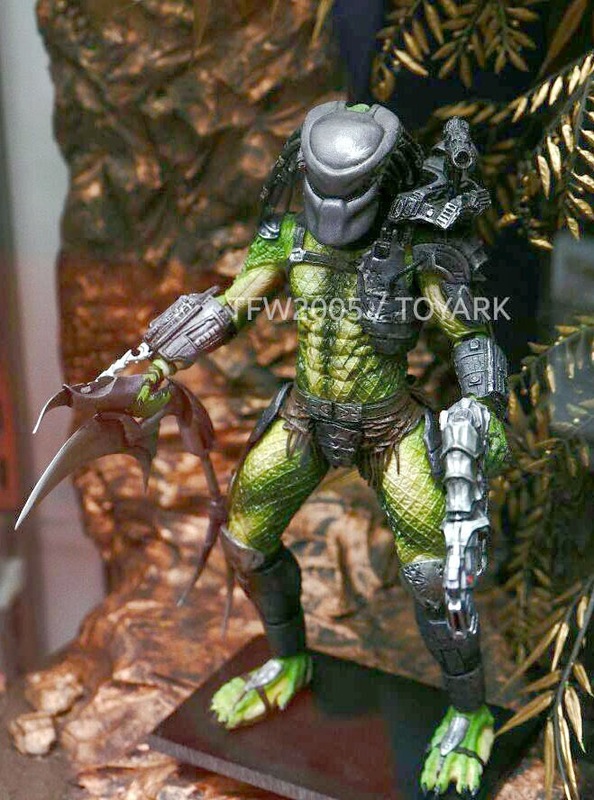 Stinny's Toy & Action Figure News Network: TOY NEWS FOR 10/11/2014 - NYCC - NECA DISPLAY - DEVIL MAY CRY, PREDATOR, GODZILLA, PACIFIC RIM and MORE! 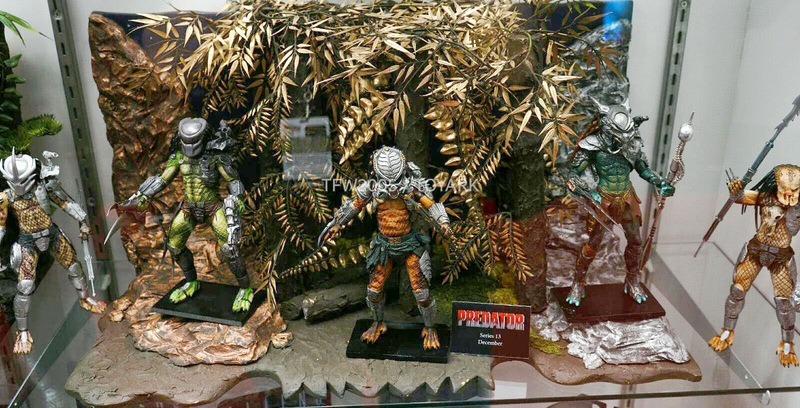 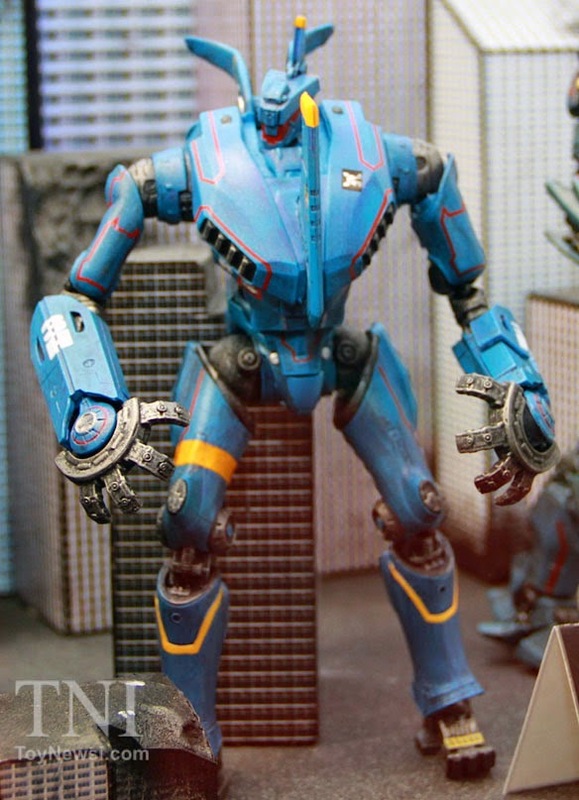 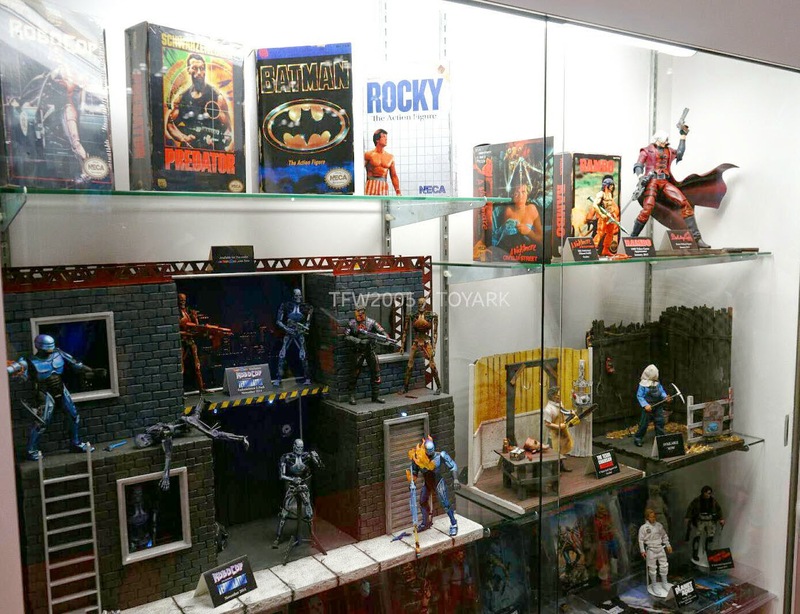 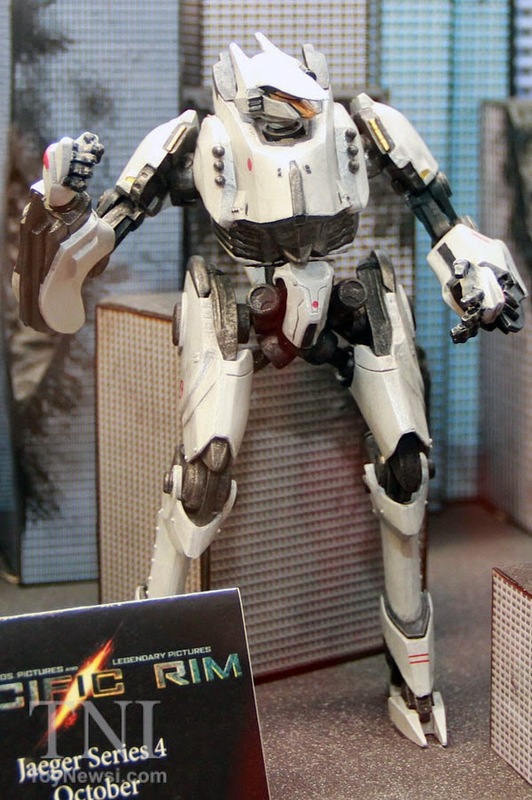 TOY NEWS FOR 10/11/2014 - NYCC - NECA DISPLAY - DEVIL MAY CRY, PREDATOR, GODZILLA, PACIFIC RIM and MORE! 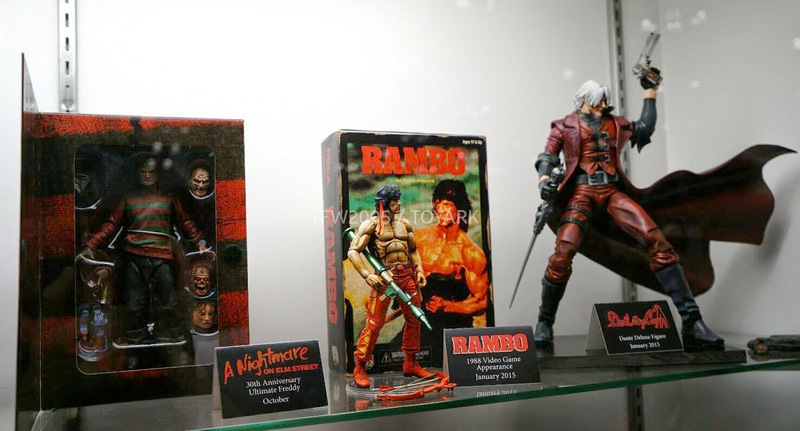 NECA had a surprisingly new amount of products to show off this week at the New York Comic-Con. 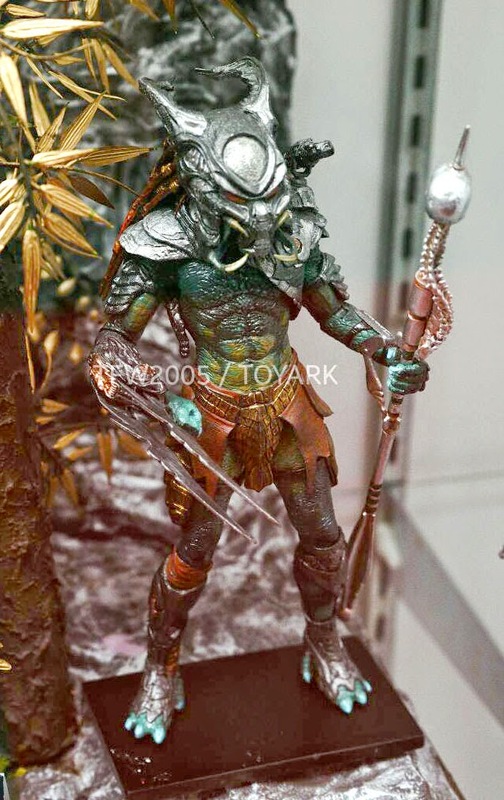 Kicking things off was the unveiling of a figure that they've been teasing on their Twitter account and had many people guessing what it would be. 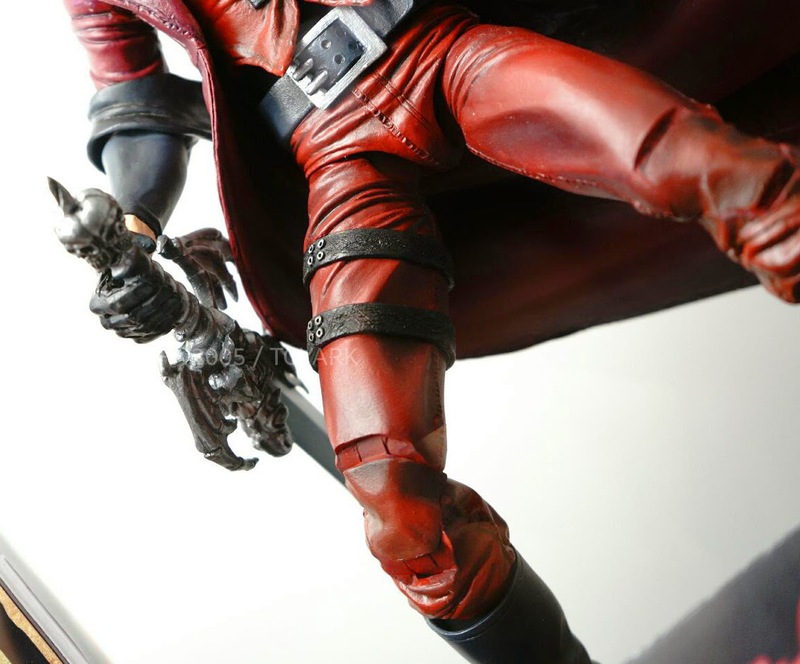 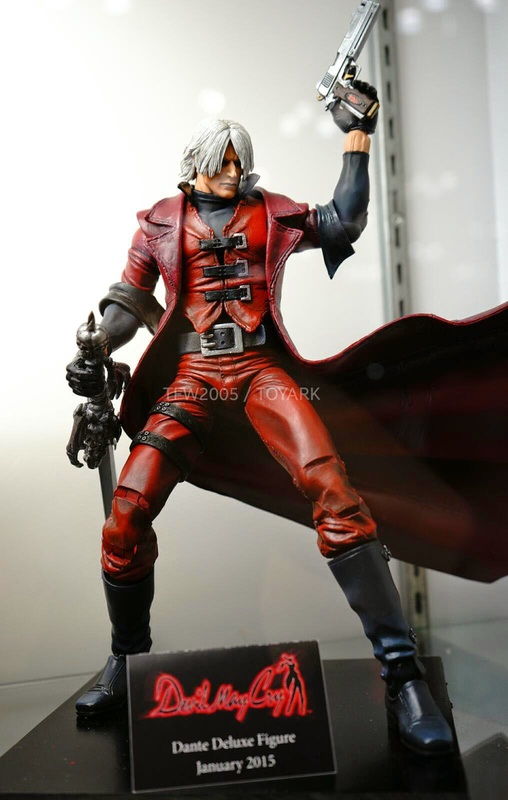 Now we know that this figure will be Dante from the video game series Devil May Cry. 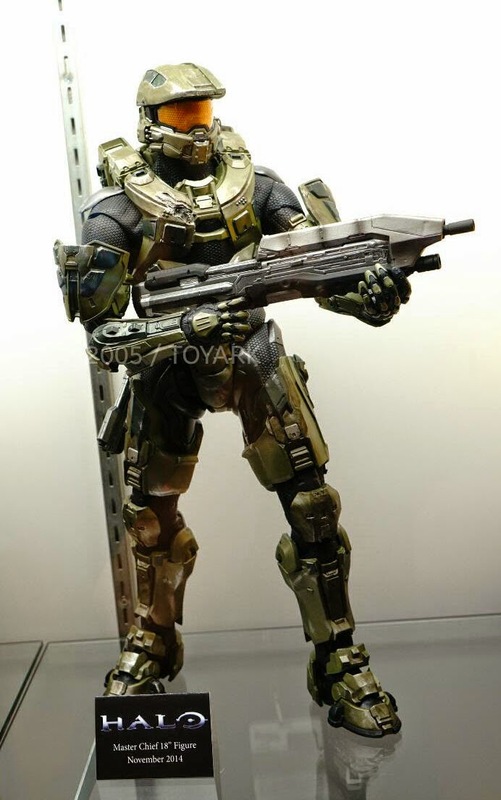 It will be a deluxe figure loaded with weapons and will be released in January. 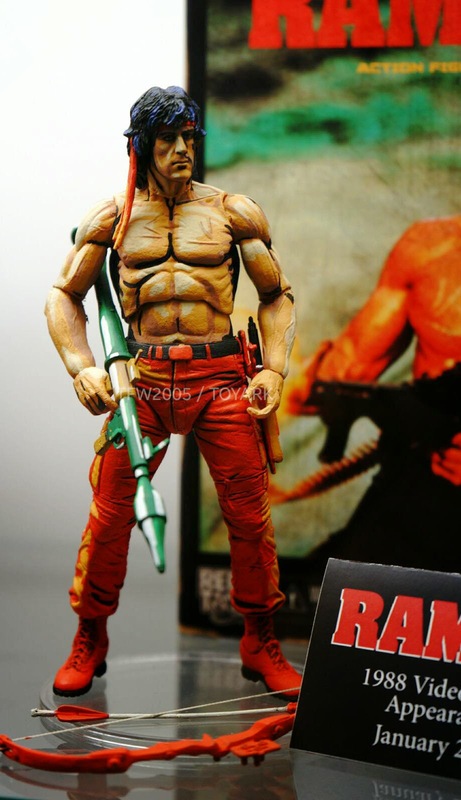 There was also a display of 8-Bit video game figure including the newly announced Rambo. 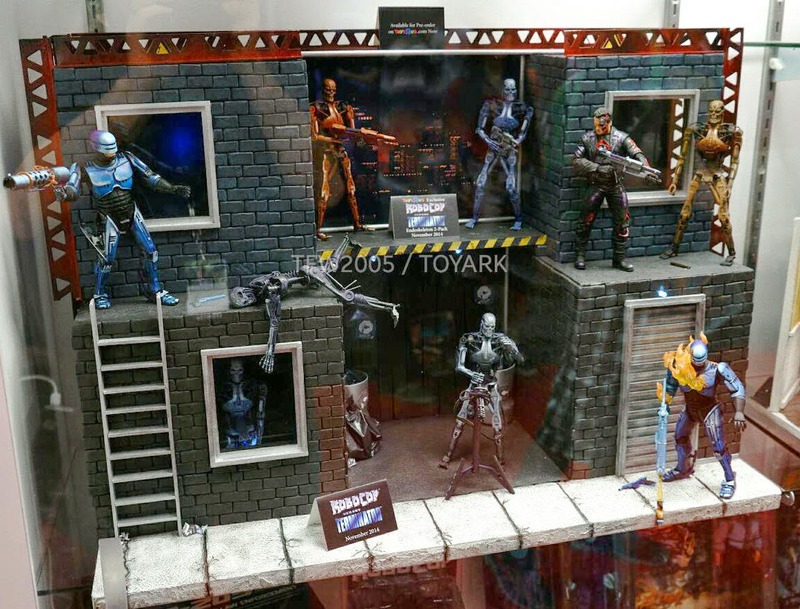 Speaking of video games, here's a look at the Toys R Us exclusive line Terminator vs Robocop based on the old 8-Bit game. 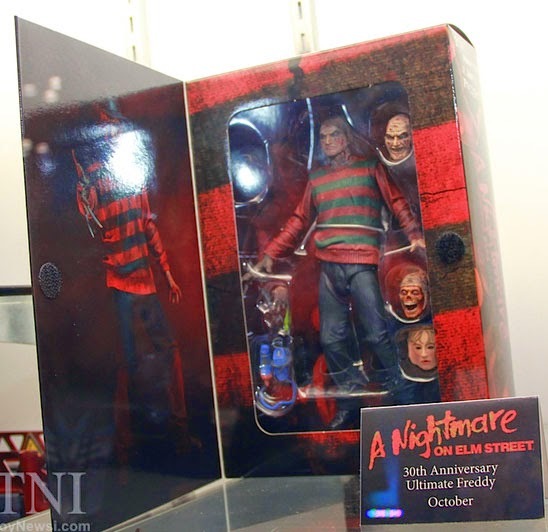 The much anticipated 30th Ann Ultimate Freddy was also on display. 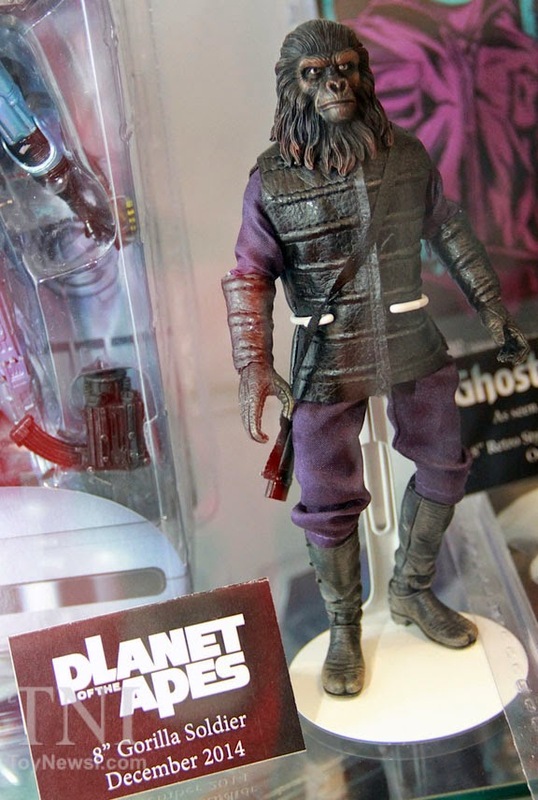 Look for him to hit toy shelves at the end of the month. 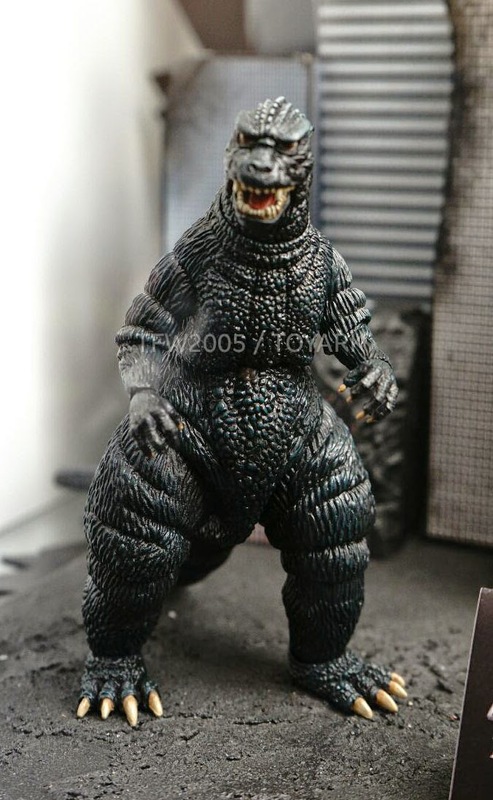 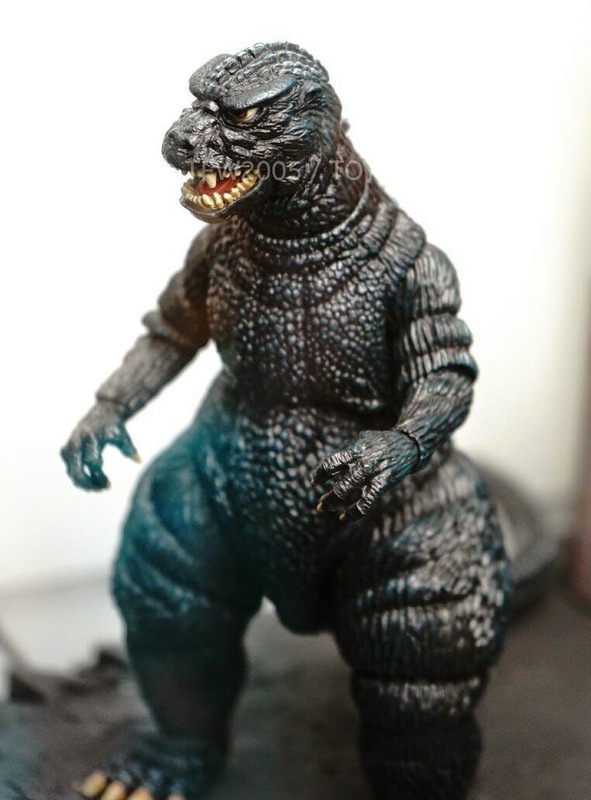 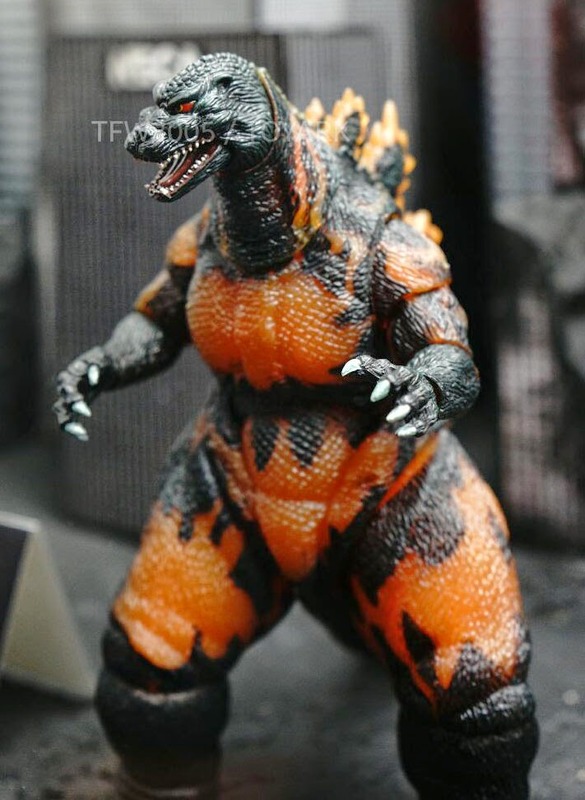 NECA has two new figures for their Godzilla line-- the obvious release of "Burning" Godzilla as well and the very cool and surprising original 1954 Godzilla! 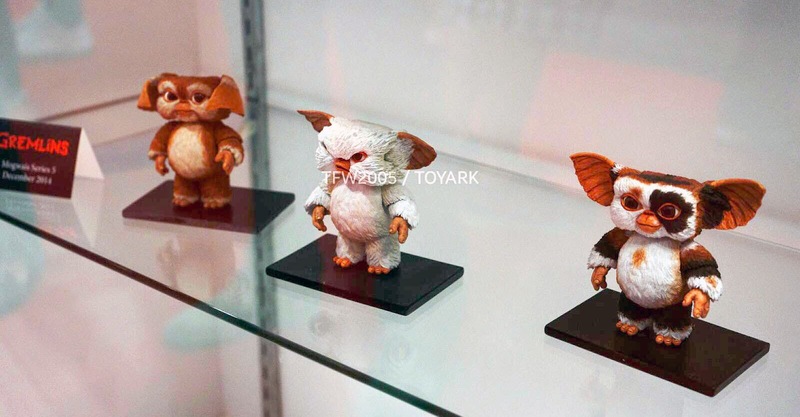 Here's a look at the Series 5 Mogwai figures. 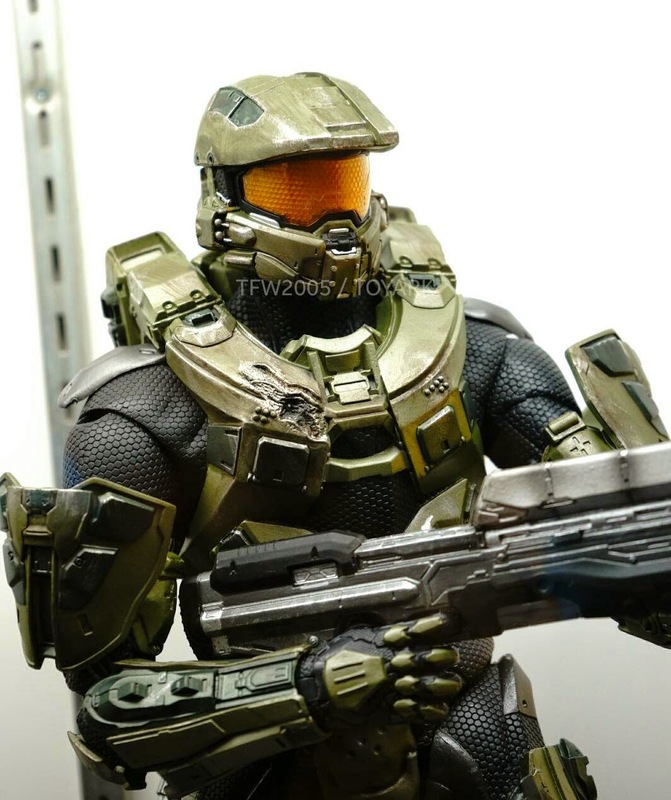 Nothing new was shown in the 1/4 scale line, but I'm super excited about that Master Chief. 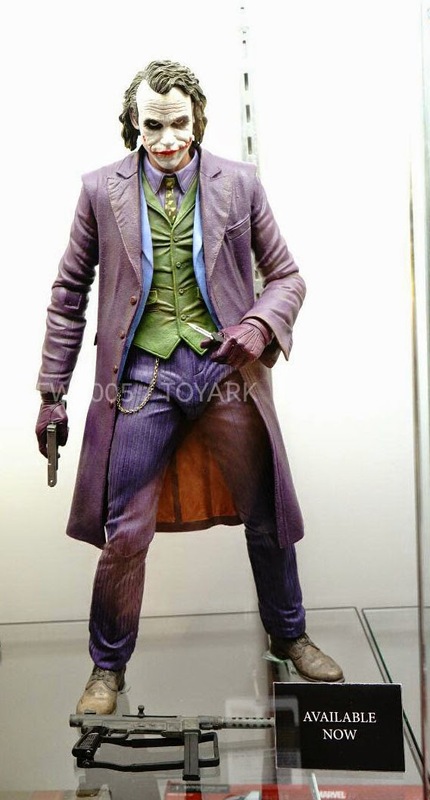 He looks absolutely amazing! 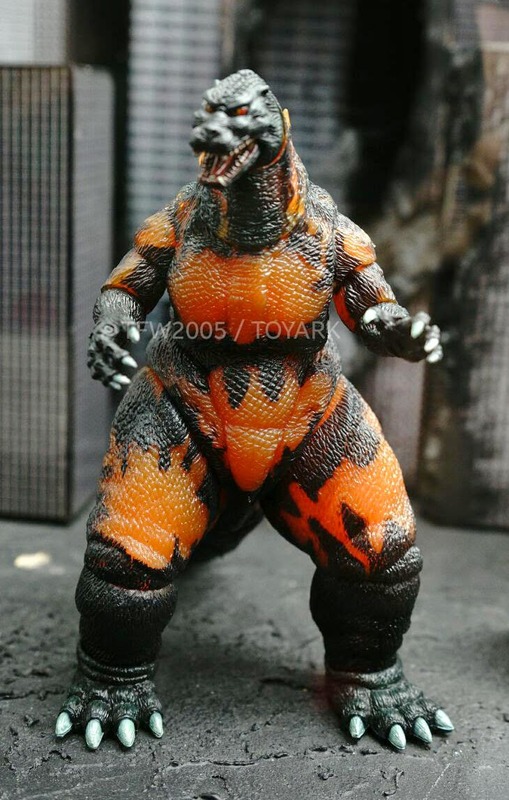 He should be showing up right at the very beginning of next month. 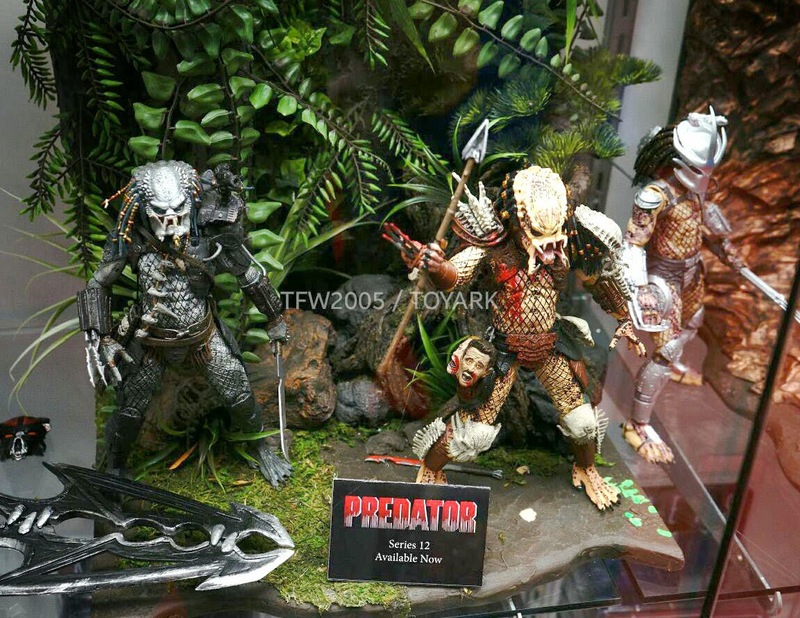 Here's a look at the Aliens and Predator displays. 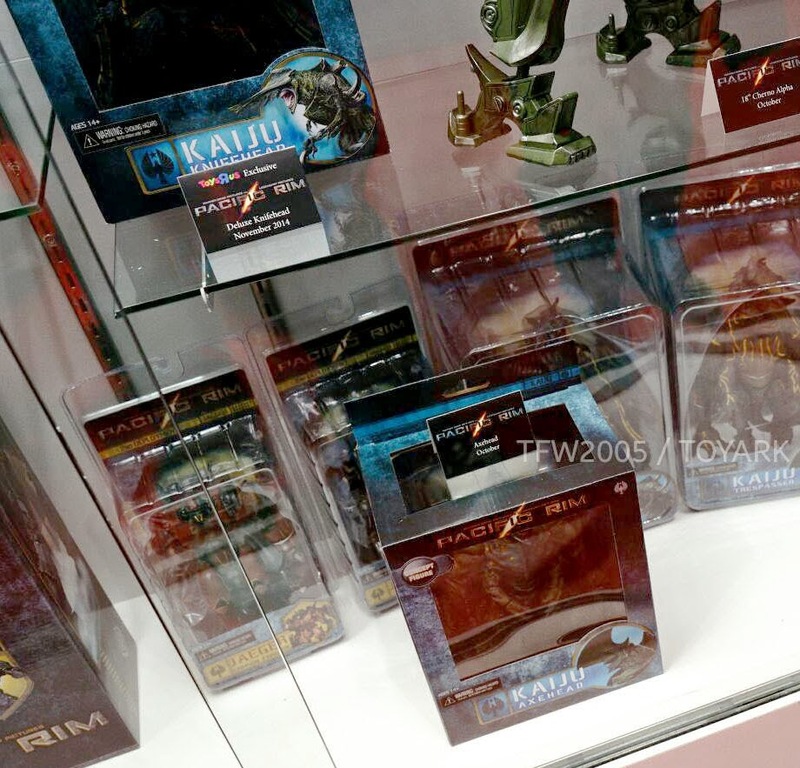 Nothing new here from SDCC. 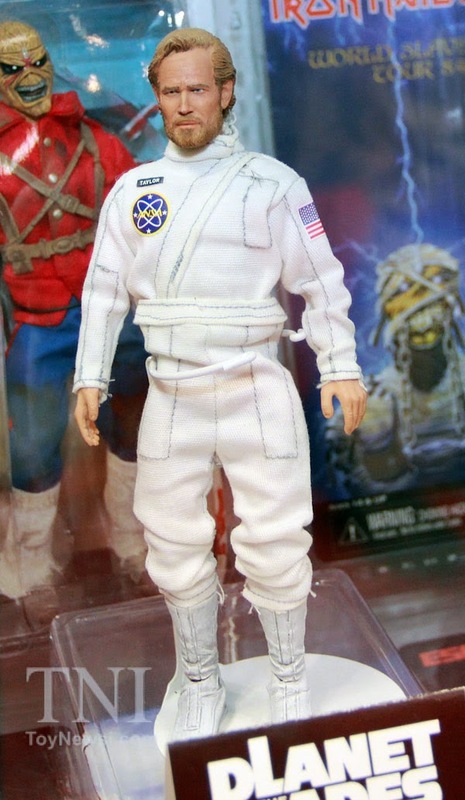 I'm sure we'll see plenty at February's Toy Fair, though. 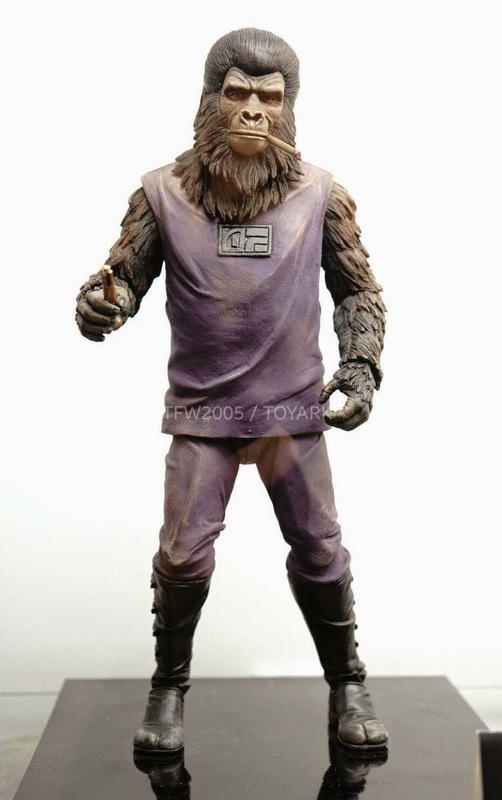 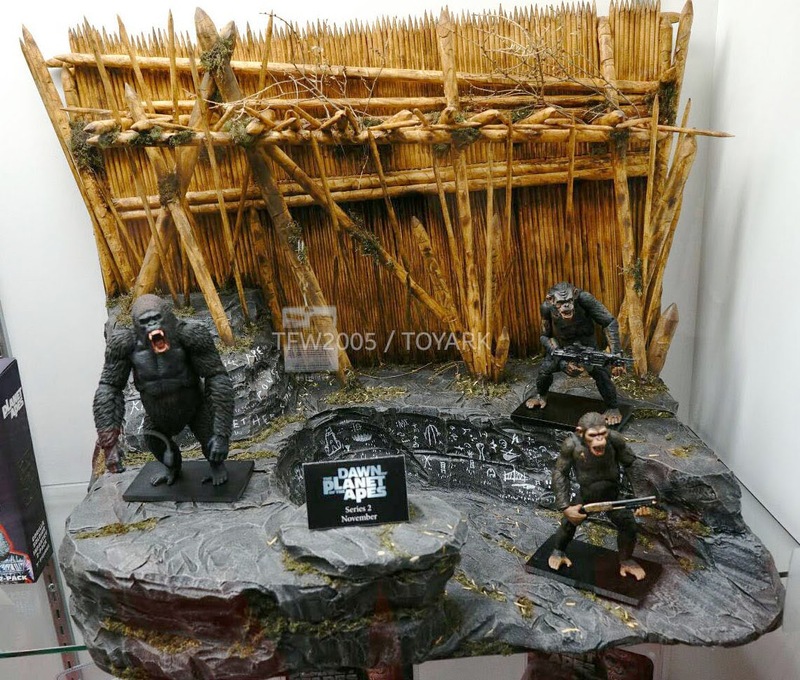 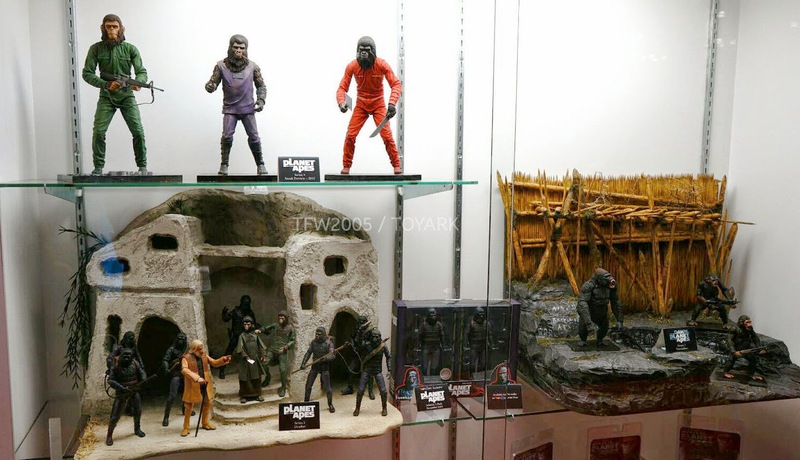 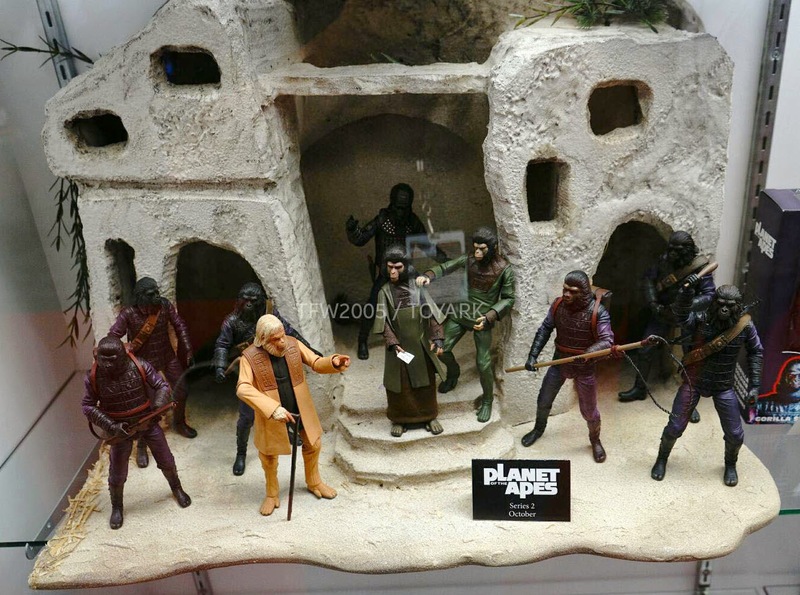 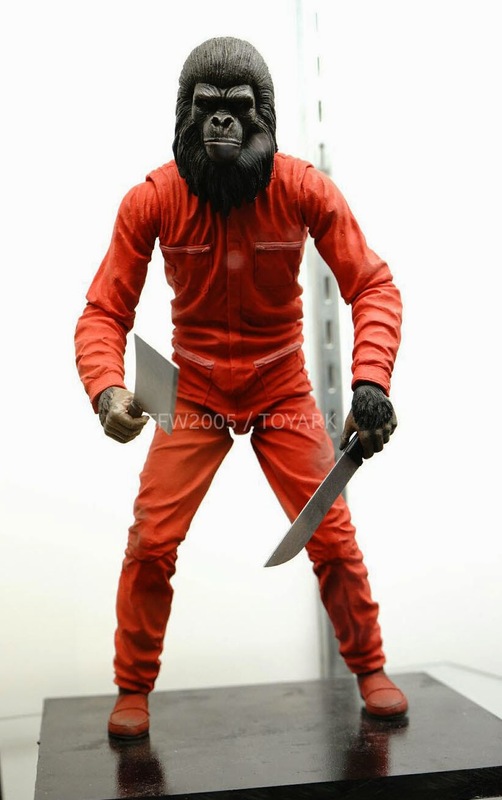 Some new figures that NECA did show off however is Series 3 of the Classic Planet of the Apes line. 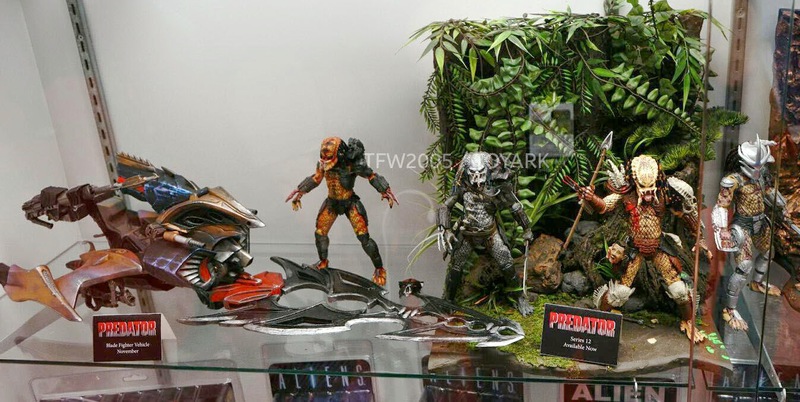 The two upcoming 8" "retro" figures were also displayed. 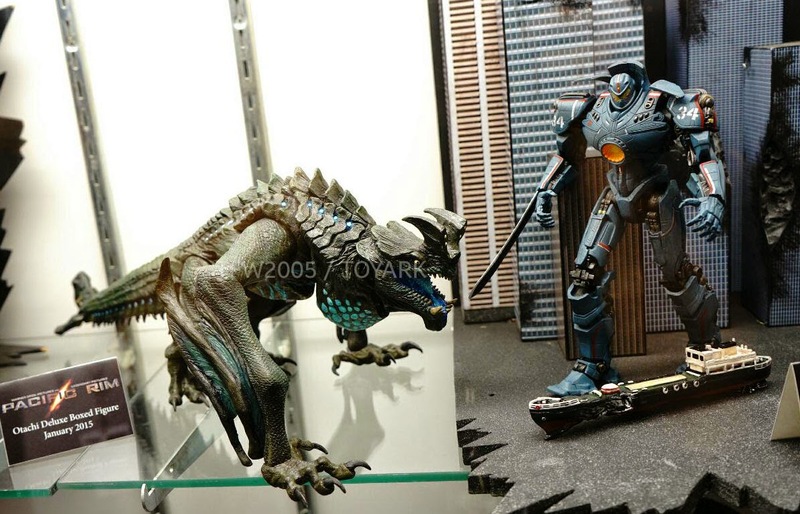 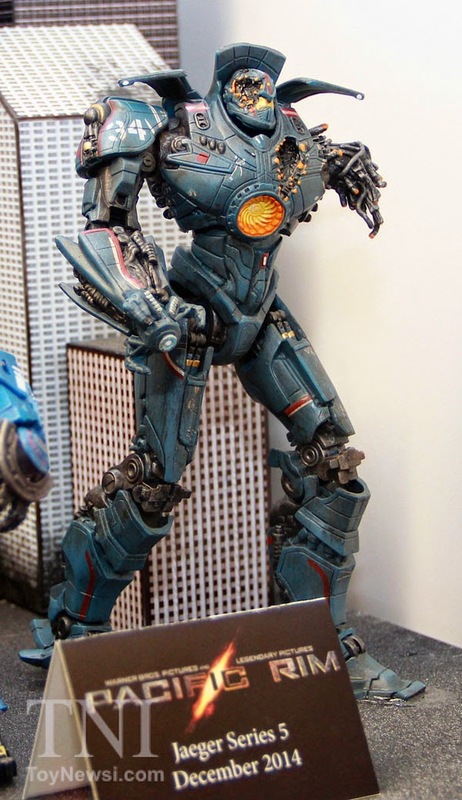 One of my favorite NECA lines, Pacific Rim, while not showing off anything new did show the final paint apps for series 4 and 5. 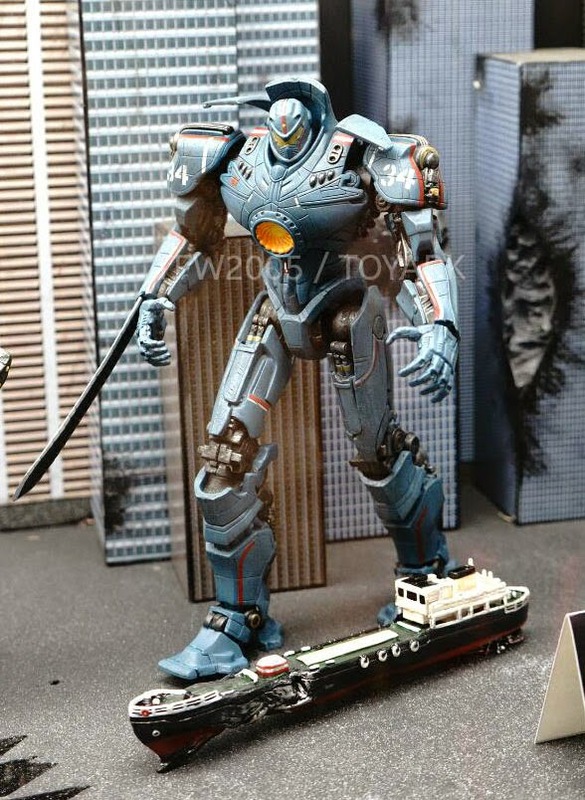 In case you're wondering, the other two unfamiliar Jeagers are Tacic Ronin and Romeo Blue. 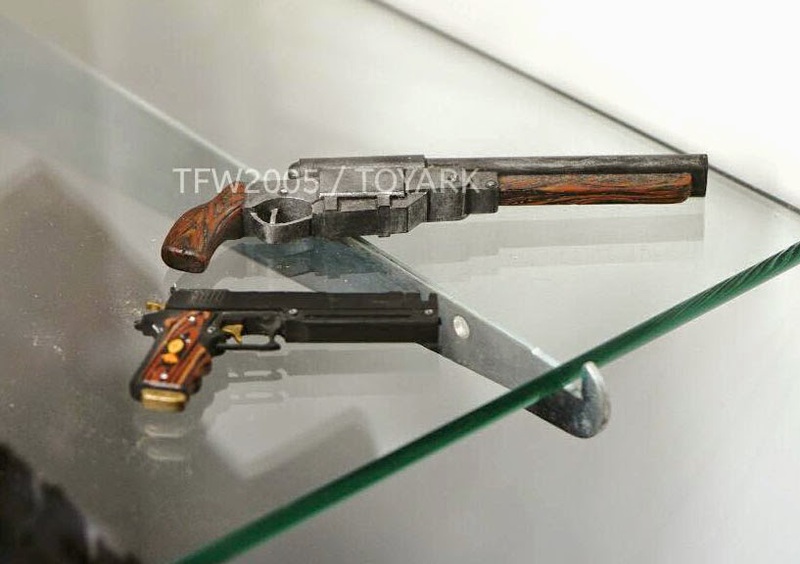 I'm sure you can figure out which is which. 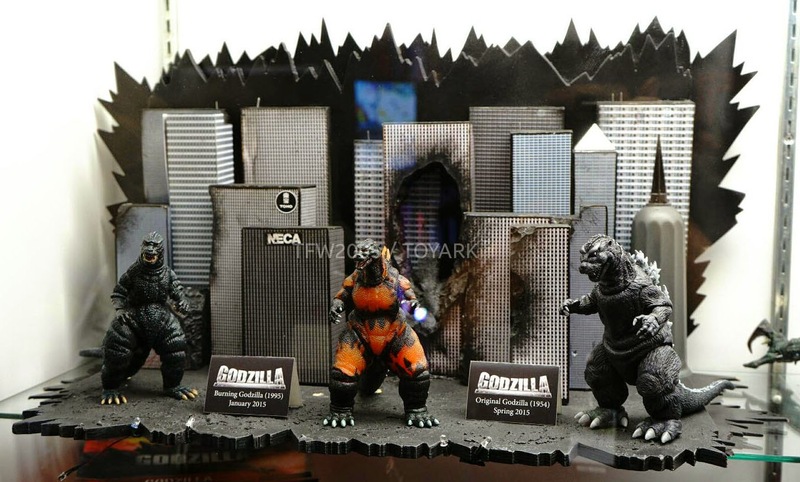 It looks like the new Kaiju will be packed in a box rather than the large clamshell packaging. 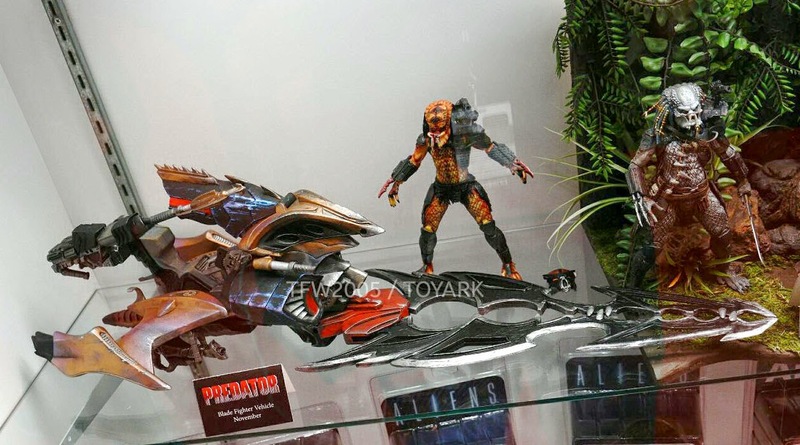 And, if you look closely, you'll notice that the upcoming NON-battle-damaged Knifehead will be a Toys R Us exclusive with a release date of November. 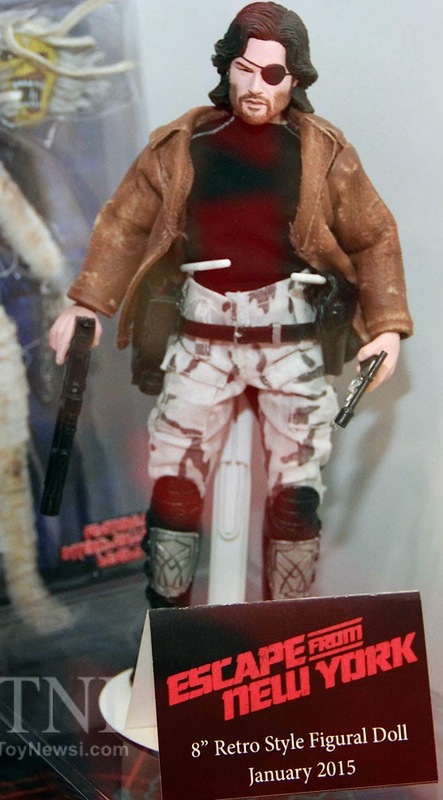 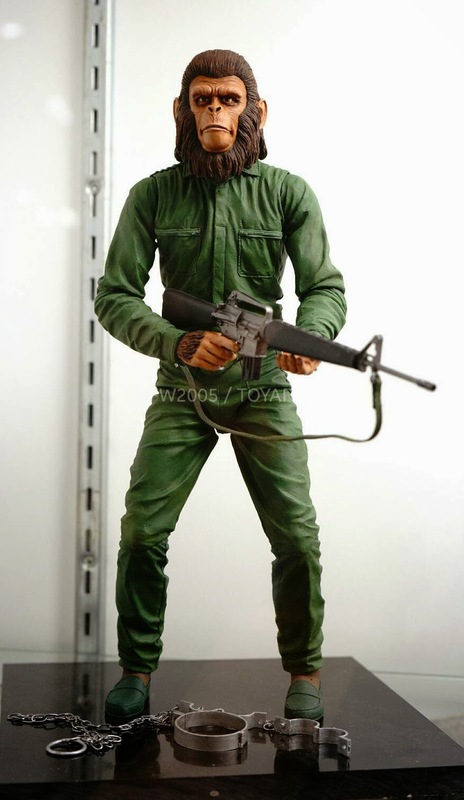 Finishing out the NECA display was the 8" "retro" version of Snake Plissken from Escape From New York.